With the polar vortex freezing everyone out north of the Mason-Dixon, it’s safe to say no one needs coaxing to take a trip south to Miami Beach. It could be an Ice Age in New England, yet it’s always (seemingly) sunny and hot in South Florida. And, when you add some of the most entertaining chefs in the food world to that Miami mix, it only gets hotter. This year I was invited to join KitchenAid at the granddaddy of food events, the South Beach Food & Wine Festival. I spent the 3-day weekend tasting, sipping, and sunning my way through South Beach along with some of my favorite food people, including my culinary partner-in-crime, Gaby Dalkin. The South Beach Wine and Food Festival (or, as we’ll call it, SOBEWFF) is in it’s 13th year and, despite the unlucky number, it couldn’t have been a more perfect time. Though the festival takes place over a long weekend, it somehow isn’t long enough. 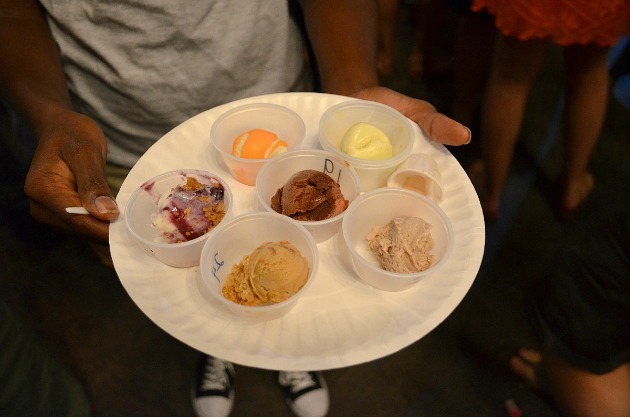 There’s barely enough time (not to mention stomach space) to try everything at The Grand Tasting (which operates as the food festival’s ground zero) and that’s just the tip of the iceberg (or shall we say ice cube?) considering all the other amazing dinners, lunches, brunches, and parties that happen outside of the festival grounds. 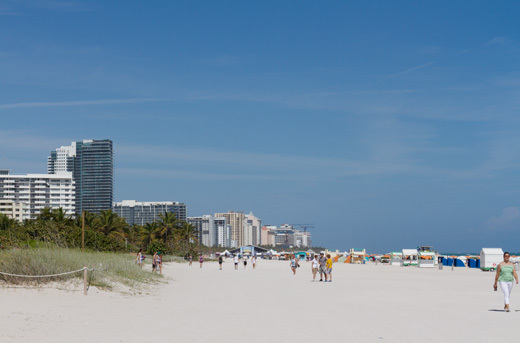 The setting itself bears mentioning because, even without the festival, the white beaches and blindingly blue water of South Beach is the stuff beach vacation dreams are made of. But pop some tents up on that sand then add to it the wine tastings, book signings, celebrity chef cooking demos, and parties that go on during SOBEWFF? Well, you just might have to pinch yourself to remember it’s all really, you know, real. To make the most of the experience, you must, must, must have a plan. First and foremost, it’s obvious, but bears mentioning: do come ready to eat. Even without the festival in swing, South Beach has an impressive food scene with posh places Andre Carmellini’s The Dutch to the can-do-no-wrong casual sushi and gastropub restaurants, Pubbelly. But, during SOBEWFF every major food brand, significant restaurant (on the Eastern Seaboard, at least), and chef, brings samplers of all sorts. The Grand Tasting tent serves so many bites that you could easily spend the whole weekend there and possibly never repeat a bite. But you must venture beyond the Grand Tasting to check out all the other fun events too. The weekend kicked off with Chef Michael Symon hosting a bash celebrating this year’s Sports Illustrated swimsuit edition and babes like Chrissy Teighen were wandering about. 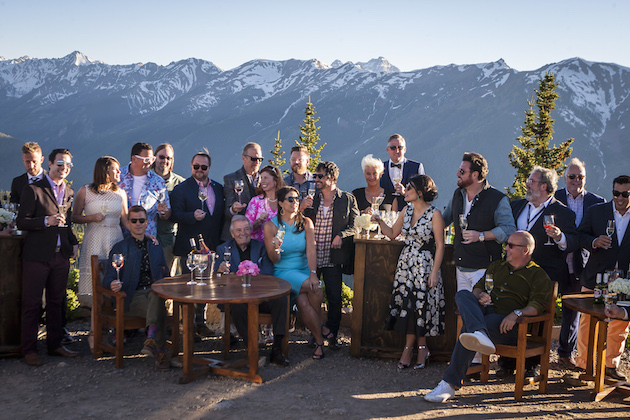 Mormimoto was personally plating sushi at his sushi and karaoke party, where I witnessed Robert Irvine sing to “YMCA.” But, my favorite event of the weekend was the Farm-To-Table Brunch hosted by Chef Geoffrey Zakarian. His chic style was all the rage and the gorgeous Palms hotel was a refuge from the heat and hubbub. We snacked on everything from perfectly poached eggs from Blue Hill to roasted bell pepper Bloody Marys and sweets by the sweet Ingrid Hoffmann. Unlike other festivals I’ve been a part of, the thing that makes SOBEWFF so amazing is that everyone from Martha Stewart to Giada and Michael Symon are not only there to cook and meet fans but also enjoy the festivities themselves. So, after watching them show you their favorite fettuccine recipe, you might just come across them singing Frank Sinatra. But no matter where or who you are, the key to the weekend is pacing yourself — making it through SOBEWFF takes tact and planning. One of my favorite ways to enjoy the weekend while taking a break from all the food is to take some time swoon over the kitchen treats in the KitchenAid booth. 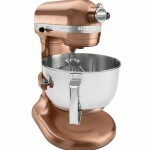 After picking my favorite stand mixer of the moment, this KitchenAid® Professional 620 Stand Mixer in Satin Copper, Gaby and I spent some time mastering our pasta making technique. But remember my mention of celebrity chefs hanging about? Well, they really are any and everywhere you turn. Food friends of mine like Kelsey Nixon was doing photo opps, while everyone from Tyler Florence to Ricky Bayless and Anthony Bourdain did book signings. With all that heat in and out of the kitchen, the most important key to making it through the weekend was finding shade and cooling off, which is why I’d toast the end each day with a visit to the Cooking Channel Shave Ice stand for one of these adorable spiked mini shave iced treats – a festive end to the most festive of food festivals. Love love love this recap! SOBEWFF has been on my foodie bucket list for years. Thanks for the behind-the-scenes look!